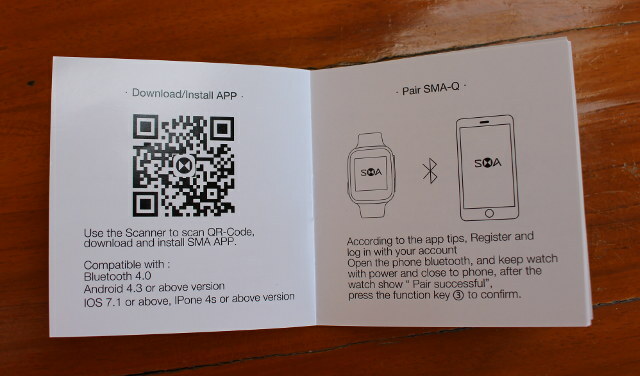 When I first discovered SMA-Q smartwatch, I really found it interesting with its always-on color e-Paper display, Bluetooth 4.0 connectivity, heart rate monitor, and promise of 30-day battery life (standby) for just $56. 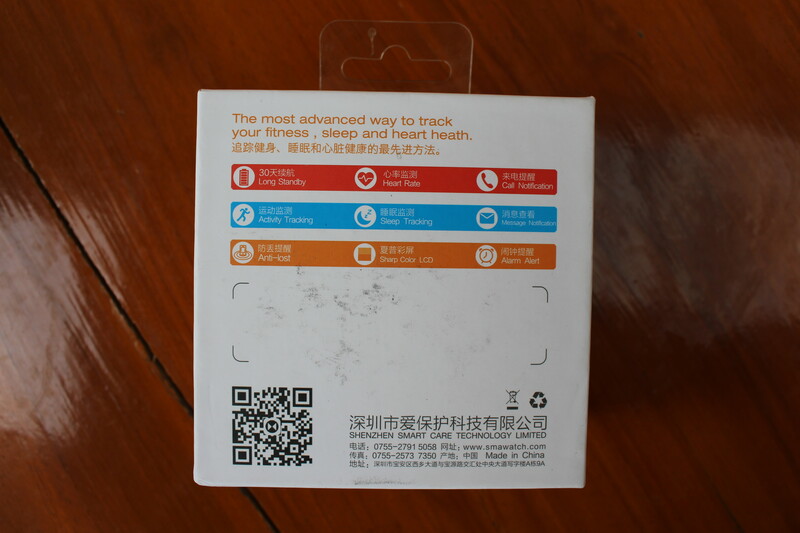 GearBest send me one sample so that I can have a close look at this interesting smartwatch and fitness tracker. I’ll start by unboxing the watch, and checkout some details that were unclear in the specifications. I received it in a retail package that calls it SMA WATCH-Q instead of SMA-Q watch with a link to the official website. On one side we’ll get the specifications, all in Chinese, but even if you can read, it’s clear the watch supports Bluetooth 4.0 and Android 4.4+ IOS7.0+ as announced in the specs, and we also learned a 150mAh battery is included, and it’s compliant with IP65 ingrees protectin ratings meaning it’s “protected from total dust ingress and low pressure water jets from any direction”. But I’ll come to that later. I’m not sure what 80mA means here (power consumption? it’s charging current). On the back of the package we’ve got some information about the capabilities of the device including call notification, anti-lost feature, activity tracking. HRM, a Sharp Color LCD, and so on. 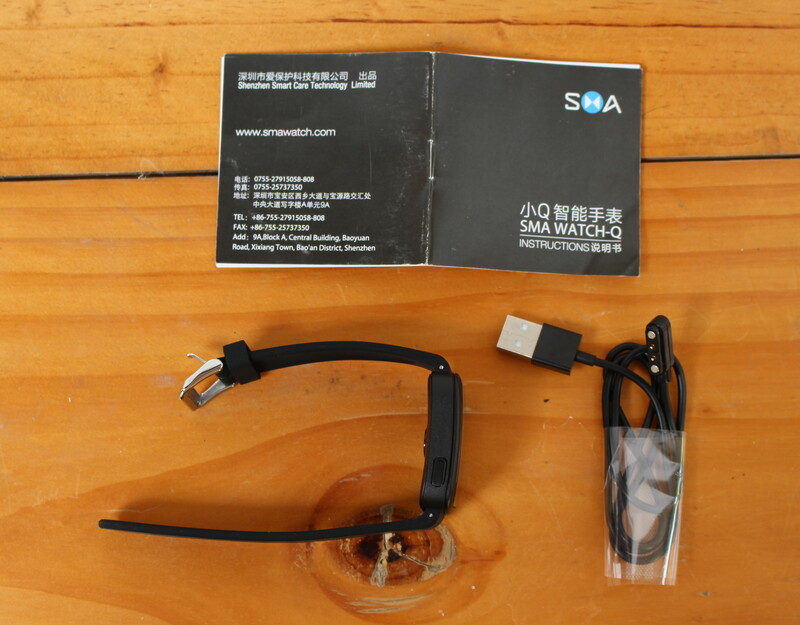 The watch comes with a user’s manual in Chinese and English, and a USB cable with a magnetic end to charge the watch. Before checking out the watch itself, let’s see some useful part of the user’s manual. 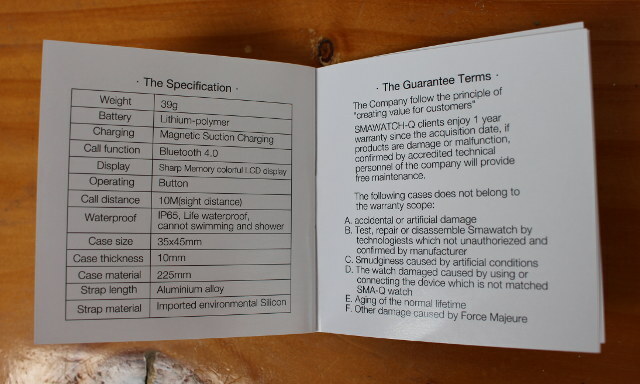 The first page of the manual descript the four buttons on the watch: Back & Power On/Off button on one siode, and Up, Down, and confirm button on the other side. There’s no touchscreen, so you’ll have to use the button to control the user interface. Then there’s a link to download the Android / iOS app, and I’ll go through it in details with an Android smartphone in the full review. a watch marked 30 metres water resistant cannot be expected to withstand activity for longer time periods in a swimming pool, let alone continue to function at 30 metres under water. This is because the test is conducted only once using static pressure on a sample of newly manufactured watches. Back to the watch itself. 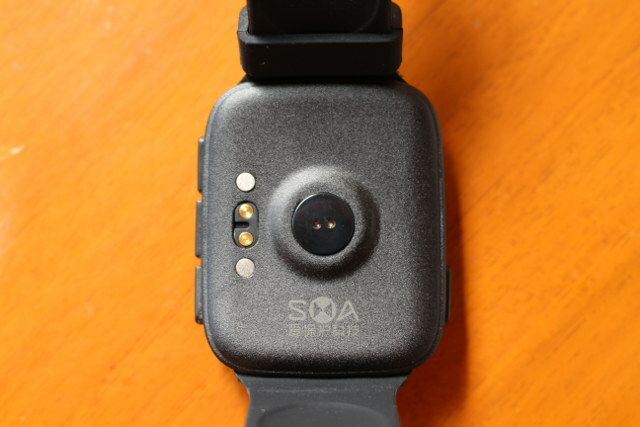 On the back we’ve got the magnetic charging connector on the left, and the heart rate sensor in the center of the watch. For what it’s worth, It has two small “holes” instead of one on No1. 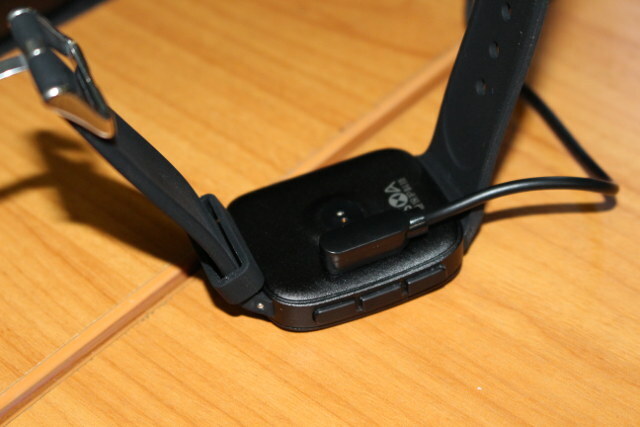 D3 smartwatch which was placed close to the side, and did not work very well, i.e. did not work at all. 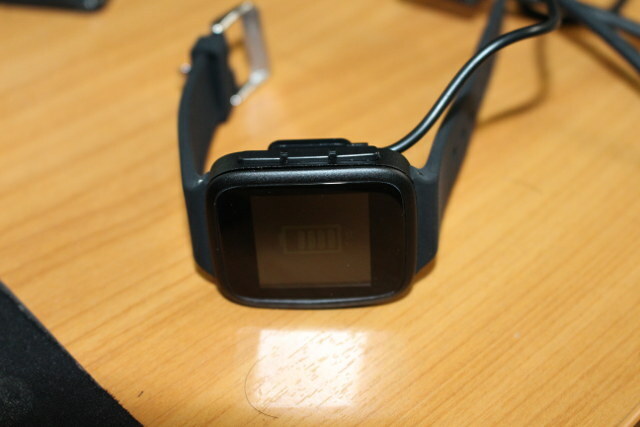 On of the left side of th watch, you’ve got the back button, which also acts as power on/off and backlight button, and on the right side, the up, down and OK buttons. 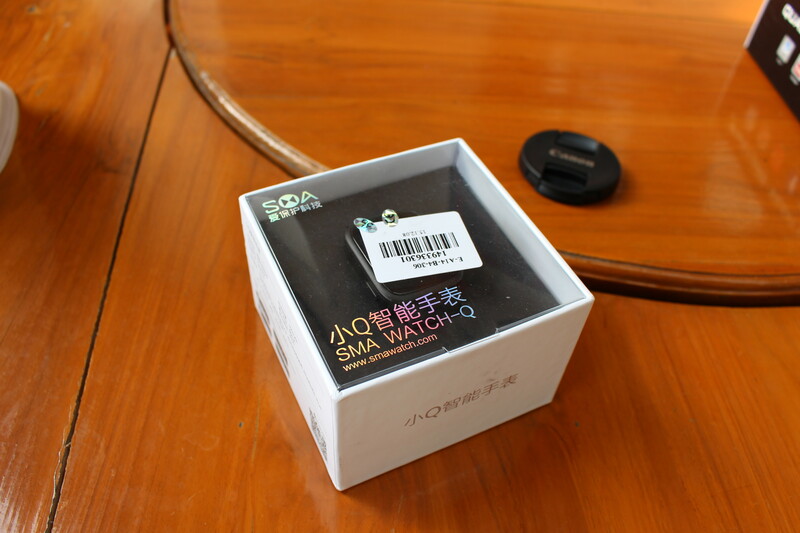 SMA-Q smartwatch is neither very small not big, and I think it should be suitable for both men and women. 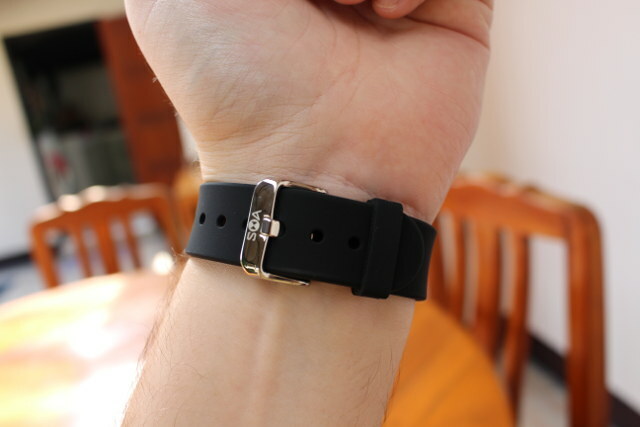 However, if you have large wrists, the watchband might be a little short, as I had just 3 holes left on mine. It’s also clearly shorter than No.1 D3 smartphone’s band, and the screen is also smaller. The metal part is said to be made of stainless steel. Normally at this stage, I would try to teardown the watch, but I could not find any safe way to open the watch without risking to affect this waterproofness, so it might be something I try after the review. Instead, I went to charge the watch. The magnetic end of the USB cable can only be plugged in one direction, but you can’t do it wrong as the magnets will prevent you from plugging it in the wrong direction. At first, I tried to charge it via the USB port of my computer, but as nothing showed up on the screen, I started the watch. 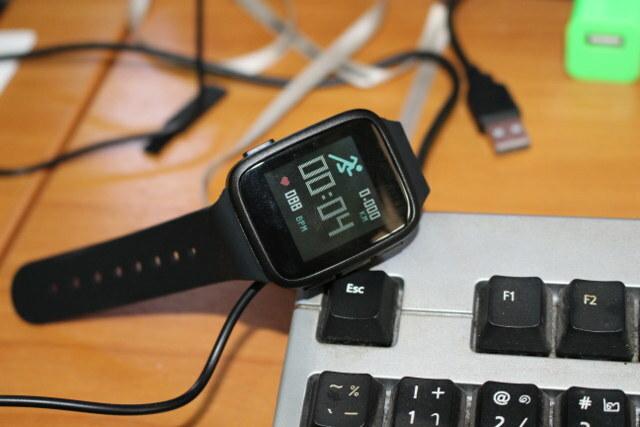 So I’ll test all features of this smartwatch including heart rate monitor, smartphone synchronization, and battery life over the next week or two weeks, before publishing a full review of SMA-Q watch. 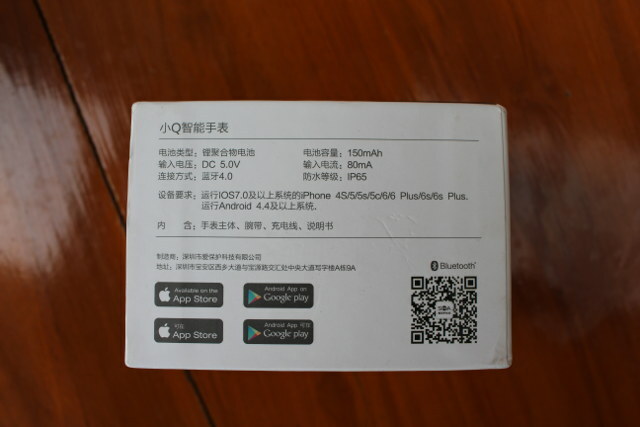 GearBest sent the device for review, so if you are interested you can consider purchasing from them for $55.90 including shipping. beside Black color, the watch is also available in Khaki, blue and red for the same price. Other e-retailers listing the watch include Tinydeal ($59), Amazon US ($75), and Dealsmachine ($49.99 + shipping). Do NOT update bluetooth over ble1. 4. I did and have no bluetooth left. Repair takes 2 month in China and offerered refund is 20% when not send back. It is a known problem you cannot fix yourself. 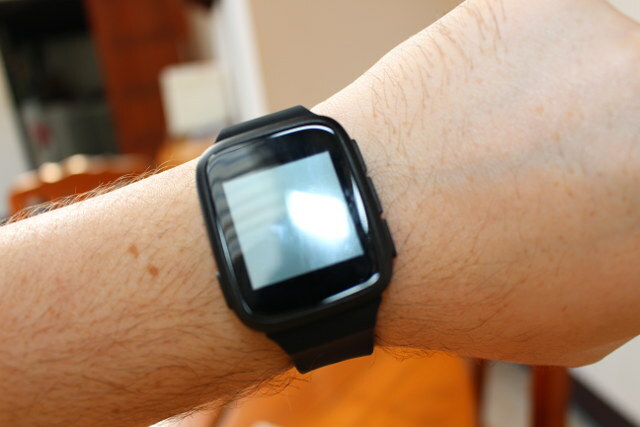 Furthermore, the watch software is like beta or even alpha version. Unbelivable. I have just ipdated he Watch and the Bluetooth is dead…. I have no words.. Compliments China.. How to waste your money. I’m on my 2nd watch now as the first one died shortly after arrival: on a hot day, sweat built up from my wrist under the watch, condensation started to build up, and the watch eventually showed a white screen and become unresponsive. Gearbest offered a replacement fr $25 without having to send the old one back. Replacement arrive promptly (about 1 week) and so far the 2nd watch works well. I did a firmware and BT upgrade on both watches, and it improved things a bit. I still experience BT disconnections every so often on my iPhone, but switching BT off and back on on the phone allows quick reconnection. The battery lasts past the announced 30 days (I got nearly 40 days of use) with mid to heavy use, though not using the HR monitor which I understand eats the battery. Note that a firmware upgrade will also eat the battery and munch through 10-20%. Pros: The epaper display makes you feel you have a real watch (no need to twist your wrist or press a button just to see the time. 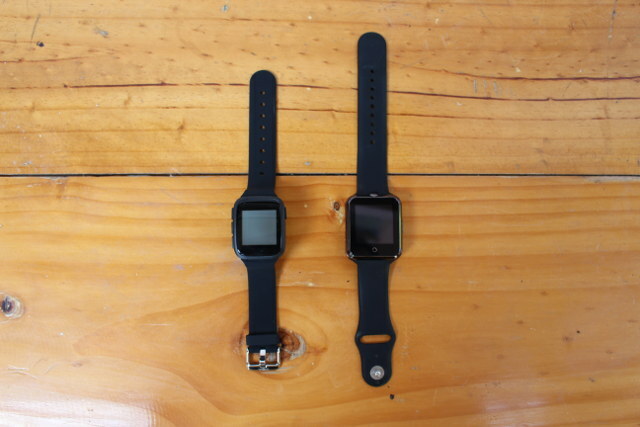 The battery is also really good, no need to charge every (other) night like other watches. Next PostNext Why Do UL and CE Certifications Matter For Anything That Connects to the Mains (110V/220V) ?